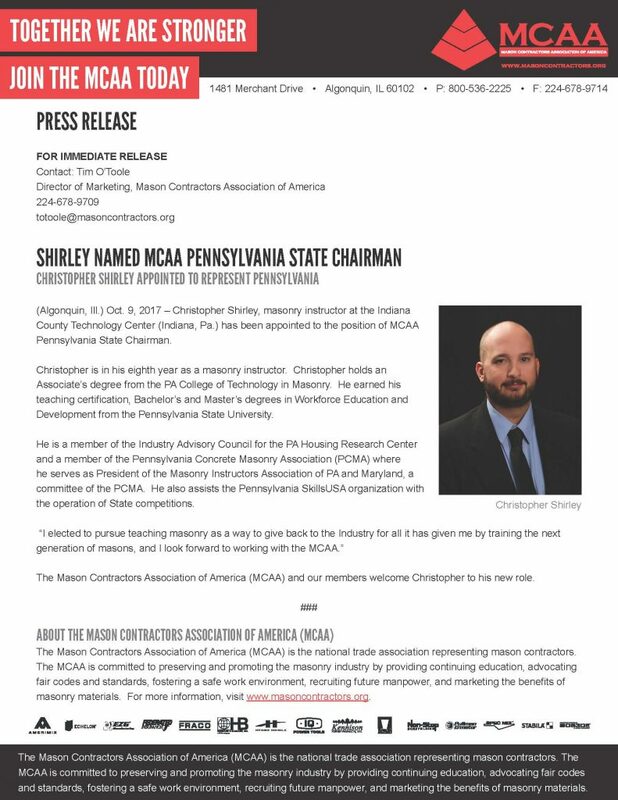 ICTC Masonry Instructor, Mr. Christopher Shirley, Appointed Position as the MCAA Pennsylvania State Chairman. On Thursday, October 5th, the Indiana County Technology Center’s long-time Culinary Arts Instructor, Chef Dennis Gehly will retire. His expertise has aided hundreds students and aspiring culinary aficionados for almost 23 years.